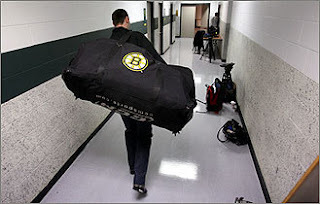 Apparently the Boston Bruins were banged up a tad more than anyone was letting on. Maine High School Results here! Celtics assistant coach Tom Thibodeau talks to the 76ers. Kevin Youkilis started rehab with the PawSox last night, and ran into an old friend for the other team by the name of Wily Mo Pena.